The Bible portrays the Jews as a people who have been chosen by God. However, for believing Jews, this is not an expression of superiority and arrogance but an expression of a particular obligation: an obligation to Gods covenant, Gods commandments, Gods teaching  in Hebrew, the Torah. That certainly does not mean that all the commandments of the Jewish sacred law were given from the very beginning. And of course there were also elementary commandments of humanity among the peoples outside Israel. What was new was that the commandments of humanity were now put under the authority of one and the same God. At a very early stage, these commandments were summarized, the most important of them in the Ten Words, the Decalogue. They were also taken over by the Christians. There are parallels to them in the Quran. From left: Jewish everyday life in New York; A Jewish family in Nazi Germany. They form the basis of a common fundamental ethic of the three prophetic religions. Grounded in belief in the one God, these Ten Words, or Ten Commandments, of Israel form the great legacy of the Jews to humankind. 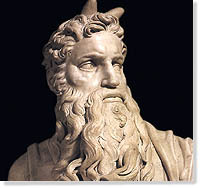 Judaism is grounded in belief in the One God, who liberated the people of Israel from slavery in Egypt  under the leadership of Moses, through whom the Israelites on Mount Sinai received Gods teaching, the Torah. The Hebrew Bible  the earliest parts of which go back to the tenth century BC  is called Tanak after the initial consonants of its three main divisions (Torah = instruction, Nebiim = Prophets, Ketubim = Writings). Christians generally call it the Old Testament  as opposed to the New Testament. A rich body of religious writing developed among rabbinic scholars from the second century CE onwards, including the Talmud. Worldwide there are about 14 million Jews; the main currents are Orthodox, Conservative, Reform and Liberal. The majority live in Israel and in North America. About 6 million European Jews were killed by the German Nazi regime of Adolf Hitler in the Holocaust (1933 - 1945).